The first thing people notice about you is how you are dressed. What your wear triggers all sorts of assumptions about who you are. For me, that is not a bad thing. It is something you can play around with and have loads of fun. When you get dressed in the morning, you can be an artist, you create this image that is so striking, your eyes can’t stop admiring your masterpiece. Your clothes are the paint you use to express who you are on any given day. Have you ever wondered what sort of emotions are behind what people wear? For example, you could use clothes to tell how you are feeling. The outfit can do all the talking and give off a certain mood that isn’t difficult not to take notice. 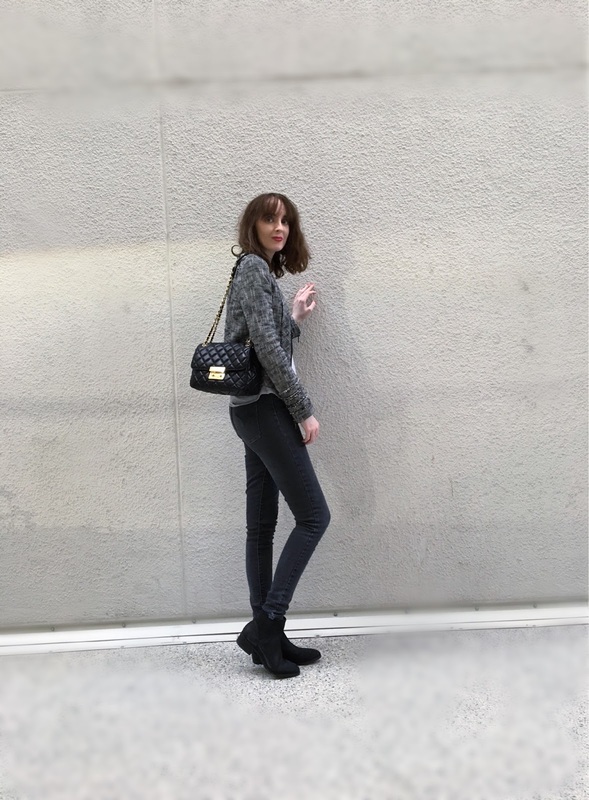 On this gorgeous morning, I’m dressed to impress in a pair of charcoal skinny jeans, that go perfectly with these classic black leather Chelsea boots for a cool casual vibe. The real star of the show darling, is this soft yet supple Michael Kors Large Sloan leather shoulder bag. 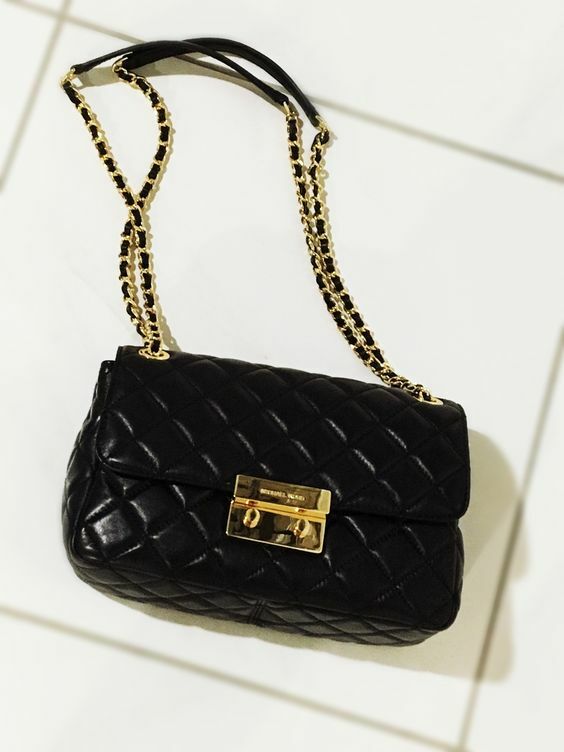 The golden shiny chain is what caught my eye when I first saw this purse! You can wear it cross-body for a day time look or drape it on the shoulder for a dressier appearance. I love how versatile this stunning little number is. The trunk in the front pushes down to open with ease, while the style reminds me so much of a retro look. The leather is so soft and luscious it feels like an amazing dream you are living in real time. I love creating my own identity through what I wear to communicate to the outside world, I’m dressing for myself to show my individual style. When I wake up in the morning I feel very frisky and excited that I decided to throw on a beautiful coat with jeans and paint the town red in utter delight. Number one mistake people can make is dressing to be on trend, rather than to please yourself, it is like spending a lifetime reading a book you just don’t enjoy. While walking the gorgeous city streets, I notice a lovely shop that has caught my eye. “Should I go, or stay clear of the mysterious shop light that tempts its glimmer?” So many feelings yet I keep walking since I feel the need for more hot pimping coffee to satisfy my interests. 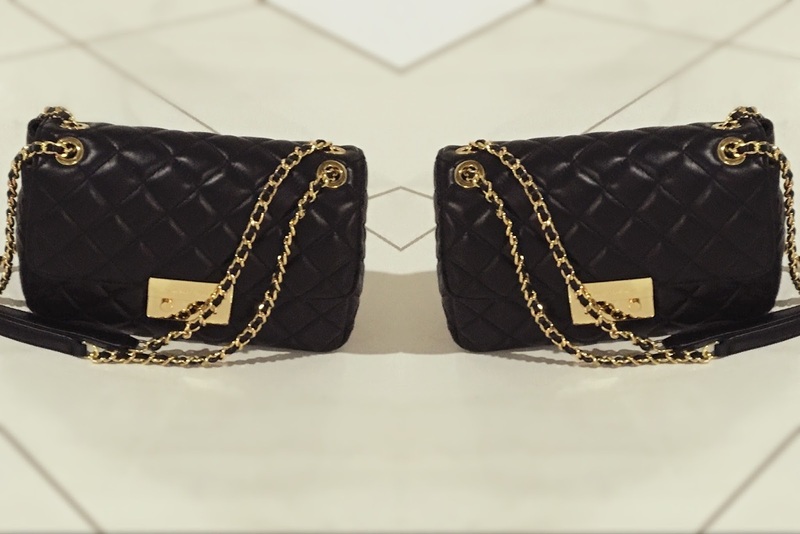 What do you think of this glamorous bag?